After studying fiscal law, Daan Hamburger was employed by AON, an insurance broker. However, he wanted to follow his dream and he started an own enterprise in the watersport industry, The activities were chartering and deliveries of sailing yachts and the organisation of sailing trips with classical yachts and an America’s Cupper. While carrying out the above activities Daan followed an education for yacht broker and at the end of the 90’s he became a sworn yacht broker. He worked with various yacht broking agencies and challenged himself by starting his own company. 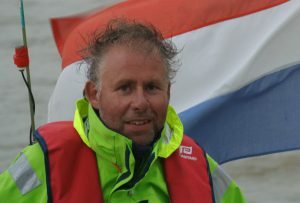 Daan is also voluntary working for the Dutch Life Boat Association (KNRM) dealing with registration of the fleet, is member of the HISWA (Holland Marine Industry) Section Yacht Brokers and is also expert witness in maritime affairs for Dutch court. 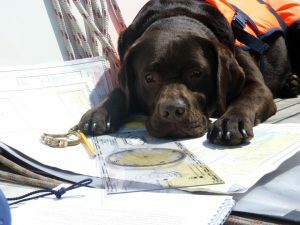 During Daan’s holidays, sailing is his favourite hobby on a Sentijn, named “Viva la Vida” together with his family and the dog.